Both faithful travelling companion and myself are very, very happy about this and of course you can expect the third instalment of the Turkish Diaries once we're back home! Portugal: "Vida Minha" - Filipa Sousa. Question: is this better than last year's abomination? Yes actually it is. Gotta hand it to Portugal, they mainly stick to the fado style and to hell with everything else. 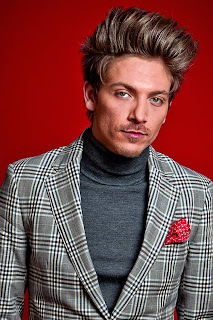 Although this year it has a bit of a Balkan-Schlager-Fado style, which maybe has something to do with the fact that one of the writers is Andrej Babic, who's been putting it about for the past few years in various national finals and has also previously written ESC entries. Ukraine: "Be My Guest" - Gaitana. As I said before, this is like Anastacia singing "When Love Takes Over" and Gaitana is definitely the Ukrainian Kelly Rowland. This will sail through to the final, although it's not much of a song IMHO. The football stuff in the video got me thinking and I wondered if this is one of the official Euro 2012 songs? Bulgaria: "Love Unlimited" - Sofi Marinova. No, it's not a cover of the Fun Lovin' Criminals' legendary tribute to the great Barry White, but rather yet another one of those Inna/Alexandra Stan-type numbers which their Romanian neighbours seem to churn out with regularity. It's a bit grating on first listen but could be one of those songs which sneaks a qualifying place at the expense of a more deserving entry and has us wondering..."why?!?!" Slovenia: "Verjamem" - Eva Boto. This is like "Euphoria" on sleeping pills. It's a big Balkan ballad and where would ESC be without them? Those women with the bath scrunchies on their heads are beginning to freak me out. As usual, they probably won't qualify for the final because it's Slovenia. But then they did last year with "No One" and I actually like this better, so....it probably won't qualify. Croatia: "Nebo" - Nina Badric. Georgia: "I'm A Joker" - Anri Jokhadze. I hadn't heard this one until tonight. After one listen I really don't know what to make of it. It's all over the place. The song starts all Nessun Dorma and then goes into cheesy cabaret and goes off on little Eastern tangents. The main problem is that for a song claiming 'I'm a joker' it's not actually that funny. Turkey: "Love Me Back" - Can Bonomo. Unlike this song which never fails to bring a smile to my face. It's bonkers o'clock. "I'm a lonely sailor drinking the night away" declares Can. He's a cheeky chappie, and this is a totally mental song which is terribly addictive. It's not up there with the classic Turkish entries though, but will get enough attention to make the final and could sneak a top 10 place on the Saturday night. Estonia: "Kuula" - Ott Lepland. The ballad of the contest (The Hump excepted of course) and there are so many reasons to love this - he's got a great voice, he looks like Kasper Juul off Borgen, it's in Estonian, and Ott's versatility knows no bounds - anyone who can sing Snoop Doggy Dogg's "What's My Name" in Estonian Idol http://www.youtube.com/watch?v=mFL_rKD9dvM deserves major respect. Bow wow wow yippee oh yippee ay indeed. Slovakia: "Don't Close Your Eyes" - Max Jason Mai. I always have a soft spot for Slovakia, purely based on the fact that I went to Bratislava 2 years ago and loved it. At least this song dares to be different, just a straightforward unpretentious rock song. He's got big hair. She hasn't seen him yet, but my mum's going to love him. A few weeks ago, I had a dream where this song was playing when the the final ESC credits were going up on the screen. Premonition? Wishful thinking? I still have a very good feeling about this song, and wouldn't be surprised if it goes at least top 10 if he can deliver a decent vocal performance. Bosnia-Herzegovina: "Korake Ti Znam" - Maya Sar. I would always want them to do well but sadly this year this doesn't really cut it for me. "Love In Rewind" was so much better. Lithuania: "Love Is Blind" - Donny Montell. Maybe a little too gimmicky with the blindfold and all, but it's a good old fashioned uptempo ESC number. I'm not sure how it will do though in this 21st century contest which tends to reject that kind of thing though. Good draw position but in the semi-final of death it may not be enough to survive. Onwards to the final, and the 'big 5' who get automatic passage to the big night, just over 4 weeks away! United Kingdom: "Love Will Set You Free" - Engelbert Humperdinck. This is probably the best Royaume-Uni entry in years, because it's such a simple song performed by a music legend. So what if he's 75 years old? Who cares? It's a song contest, remember! The down side of the big 5 is that they only get one shot, and this is drawn in that horrible first position, but I remembered this after just one listen and Europe may hopefully do the same. A top 5 placing would be very very nice indeed. I'm no patriotic flag waving Brit but this is an entry we can really be proud of, for a change! France: "Echo (You and I)" - Anggun. Drawn in 9th spot in the final, France have gone for a real proper star this year - Anggun, who came to my attention a few years ago. She has a great, distinctive voice but I feel it's not used to its full advantage on this quite frankly messy song. Multiple key changes which Fredrik Kempe would envy, and gratuitous whistling throughout. It's not bad, but it could and should have been better. And a French entry with some English lyrics? Sacrilege, if you ask me. Italy: "L'amore E Femmina (Out of Love)" - Nina Zilli. Singing 10th in the final, this is a serious contender for the win and absolute top 5 placing at least. Boom boom boom. Very catchy song and her retro style is a refreshing change and reminiscent of Amy Winehouse. However my major gripe with this song is the same as with the French song - why the English lyrics? Italian is such a fantastic musical language so let's leave it at that eh? Azerbaijan: "When The Music Dies" - Sabina Babayeva. Singing in 13th position in the final, this is separated at birth from "Drip Drop" although hopefully without the histrionics and stupid running in heels. It's not bad though, as this type of dramatic ballad goes. A little reminiscent of Sam Brown's "Stop" for people of a certain age. And on a fashion note, I hope she wears a pretty stunning dress too! Spain: "Quedate Conmigo" - Pastora Soler. 19th position in the final is a pretty good place to be. This is written by Thomas G:son and is yet another strong ballad. Not sure how it will go votes-wise but it's not the worst. Big key change of course. Anyone think she looks a bit like Kate Garraway off breakfast telly though? Germany: "Standing Still" - Roman Lob. The most favourable draw of all of the big 5: 20th out of 25. This is one of my favourites this year, a strong mid-tempo contemporary number, co-written by Jamie Cullum no less! He's quite cute too, although I hope he leaves the headgear at home. Not a winner, but a strong performance on the night could push him up the results table. After having heard all the songs I'm no closer to predicting a winner than I was before! Tonight on The Voice UK it was time for the Battles: basically an elimination duet to establish who's staying and who's going. First up: Team Will's Joelle vs Jenny. The show has hardly started and there's a diva-off already. I can sing/shout loud! So what, I can sing/shout even louder! It's a belter-fest and we're not really fussed on that kind of thing here at EuropeCrazy HQ. We decide that Joelle's our fave out of these two, she's not perfect but the raw material is there, and she has a cool hairstyle too. Will chooses Joelle: good choice. Team Danny's Max vs Bill are up next. Max went to stage school and Bill didn't. We liked Bill in the blind auditions and he's got lots of potential so we cheer him on, but Danny chooses Max, the guy in the hat who is far too cocky. Mum declares that Danny will regret this decision. And the hat is annoying her. Time for Team Tom's Aundrea vs Sam. A little less conversation? A little less screaming more like! Our ears are very tired by the end of this one. Aundrea's yet another one who falls into the oversinging trap and Tom punishes her for this by choosing Sam. On to Team Jessie's Kirsten vs Toni, and it's another squeal-fest on "Think" a song which we really don't like at all. Admittedly they are both pretty good at what they do if you like that sort of thing. Toni, the one with the alopecia, gets Jessie's vote. Back to Team Danny next: Bo vs Vince (Freeman): a most mismatched pairing, both in gender and vocal style. Bo, who could probably make a decent living as a Dido/Dolores O'Riordan/Diana Vickers tribute act, has already had a lot of media coverage in recent weeks so it was no surprise really that she was chosen over barefoot rocker Vince. She really needs to get her own vocal style though. Word of advice, Vince - go over to Sweden and enter The Voice Sverige, they will probably love you. I was looking forward to the next part of the Tyler James adventure and he was paired with Heshima for Team Will's next vocal battle. "Yeah 3x"? Que? Bizarre song choice, but Mr i.am. knows what he's doing. Ty's quiff is reaching Jedward proportions. We spend the rest of the song talking about Eurovision (!) Yay! Will picks Tyler and is rapidly becoming my favourite judge. Back to Team Will for the Jay vs Jaz duel. Jaz of course was the guy who got all the attention at the end of the show last week singing "Ordinary People" (which soared into the iTunes chart afterwards) - and he's also managed by Andrew "Starman" Stone don't you know :) Anyway this was the toughest duel of the night, and it's a shame that someone has to go. Why did Will put them together? Jay has that Will Young quality to his voice and we'd have liked to see him go further. Will said Jay's better than Justin Timberlake - but he puts Jaz through. And finally to Team Tom's Deniece vs Ruth duet. We could have done without Ruth's sob story - the X Factor is that way, love - but we really can't stand Deniece purely for the reason that we always hated Five Star, therefore we're supporting Ruth. A bit too much oversinging of "No One" - I'd have appreciated a more understated approach in the style of Alicia Keys, and some vocal control would be nice, but hey ho. Ruth wins the duel and we're happy with that. So that's it for part 1 of the Battles. Team Jessie: Cassius v David: "Beat It". I missed most of this but it seemed OK. Cassius through. Team Will: Frances vs Kate: "Ironic": in the midst of all these belters there's the 'aren't I so quirky?' brigade. Frances with her please-please-please-pick-me face won, although we preferred Kate. Team Danny: Aleks vs Emmy. He's far too nervous, she's singing over the top of him, but Aleks gets the vote. Is it the 'raw talent who needs development' argument? Or is it just cause the show probably needs a cute teenage guy in the line-up? Team Jessie: Ben vs Ruth Ann: They sing Whitney. Ready to combust. Ruth Ann wins. Hmm. Team Tom: Matt & Sueleen vs Lindsey. As in the blind auditions, I declared that Lindsey is Shirley Clamp's sister, separated at birth, and we wanted to keep her in, because we don't get Matt & Sueleen. Tom did. We did not take this well. Team Danny: Murray vs Hannah, doing "Kids" which was never one of my favourites and I didn't really care who went through. Danny picked Hannah. When all those chairs swung round in the blind auditions for Indie and Pixie, I wondered if the judges had lost their minds, as this pairing stood out from the rest of the contestants for all the wrong reasons. Jessie paired them with the infinitely better Becky. Of all the vocal 'belters' Becky particularly impressed and has genuine potential - thankfully Jessie made the right decision here. Team Tom paired Adam with Denise on a pretty awful version of "Use Somebody". Adam won, and it will be interesting to see how he progresses. Back to Team Will and one of the most controversial choices of the evening. Sophie was up against J Marie, the latter was very impressive in the blind auditions. Oh no, not "Firework". I hate "Firework" with a passion - why no more subtle songs? This was overcooked beyond description, although both did pretty well if you like that kind of thing. Fine so far, but for a programme called "The Voice" which is all about, um, the voice as it were, apparently it's all about the age too. Although we thought J Marie was clearly better, the criteria for not choosing her was....that she was 27. Does singing talent have an upper age limit then? Or is this a really stupid question when you consider the age of the oldest judge on the show? Finally, David vs John James, tearing up "Dakota" by the Stereophonics. Of course we like our curly haired boys on this blog but I'm still not sure if I like David, the winner of this battle, all that much. So that's it. The live shows begin on Saturday 28th April. Hoping for a better variety of song choices otherwise we'll need to turn the volume down. Serbia: "Nije Ljubav Svar" - Zeljko Joksimovic. One of the big ballads of this year, and although as you know I'm not a ballad fan, this has grown on me after a few listens although it gets terribly overcooked towards the end. An absolute qualifier from the 'semi-final of death' and a guaranteed top 5 place in the final. FYR Macedonia: "Crno i Belo" - Kaliopi. It's all a bit too tortured for me to be honest, but they drop the beat in halfway through and it makes it remotely interesting but nothing more. Might pick up a few Balkan stray votes but can't see it qualifying. feel free to agree or disagree with me :) In a very tight semi-final this could be a surprise qualifier. Malta: "This Is The Night" - Kurt Calleja. This is in the style of the Swedish dance-pop-boys, and the middle 8 even recalls that of "Amazing" - although it doesn't really explode, on first listen it is rather nice and listenable and probably better than most of the (by now forgettable) songs in semi-final 1. Belarus: "We Are The Heroes" - Litesound. Someone should really do a mash-up of this and Kelly Clarkson's "Stronger" :) Another song which appealed to me on first listen, he is very cute but I wonder if they will wear those awful outfits in Baku? It wouldn't be the first time at ESC that bad styling killed a good act/good song. The final part of my Eurovision preview will be published here on Saturday 21st April. Israel: "Time" - Izabo. This is another one of those entries which I hadn't heard until very recently, yet over the past few days it has become one of my favourites and a very certain contender for my year-end chart. It's probably one of those songs which Eurovision fans will hate, and it probably won't do so well, but do you know what? I don't care, because I like it. San Marino: "The Social Network Song" - Valentina Monetta. A.K.A "Facebook uh-oh-oh". She is on the "Glee"-scale of annoying, this song has horrific lyrics and worryingly,it popped into my head the other day, for all of about three seconds but really it shouldn't have. They missed a trick here as they should have inserted "tweet tweet" into the lyrics and would therefore have covered the whole spectrum of social networking. Please do not "like" this one. Is this Eurovision's answer to Rebecca Black? Cyprus: "La La Love" - Ivi Adamou. By this point I'm actually past caring whether or not I miss the semi-finals if the likes of this are anything to go by. Disposable heard-it-all-before dance-pop which may scrape its way to a final place if it's lucky. Denmark: "Should've Known Better" - Soluna Samay. Inserts bad pun at this point that the Danish voters 'should've known better' and voted for the infinitely better "Take Our Hearts" or "Venter" instead. Her styling in the national final was atrocious and as for the lyrics, EBTG should really be calling their legal team on hearing "I miss you, like Sahara missed the rain". It's American TV drama background music (I should know, I watch enough of them!) however its popularity still escapes me, even now. Russia: "Party For Everybody" - Buranovskiye Babushki. The novelty of this year's contest however the problem with novelties is that they go stale very quickly. This may wow televoters in the semi-final but when it comes to the final I doubt if it will be so successful there. The Russian grannies may be aww-cute but right now, ESC needs a major international hit to come out of the contest, and a win for them would not be such a good idea. Hungary: "Sound of Our Hearts" - Compact Disco. I was immediately impressed with this when it won the Hungarian selection so it will be no surprise when I tell you that I still feel the same. It almost has a Hurts vibe to it, and they are very popular in parts of Europe, yet for some reason I can't see this song doing so well. Which is a pity as it's one of the best this year. Austria: "Woki Mit Dein Popo" - Trackshittaz. Do you really think the top dogs at the EBU will let an act with a name like that into the contest? One of them (Lukas) has hair like the wannabe 3rd member of Jedward. They're like an Austrian version of LMFAO. This 'song' is pretty worthless though, and more than likely will continue the great tradition of rap songs not performing well at Eurovision. Moldova: "Lautar" - Pasha Parfeny. "This trumpet makes you mine girl" is probably not the best chat-up line we've ever heard. The Moldovan Colin Farrell gets down with the trumpets on this rather catchy number which doesn't measure up to the bonkers brilliance of "So Lucky" but could be a surprise qualifier in an otherwise dull semi-final. Are you going? Are you going? So...the Blind Auditions are over, the Battle Rounds are on the way, but the best thing of all is that "The Voice UK" has been a resounding success. Whether or not you agree with the need for yet another TV talent show, the success of The Voice UK is very significant indeed - it's sending out a message that we are sick of your manipulative 'let's all laugh at the poor deluded individual who can't sing' TV formats. 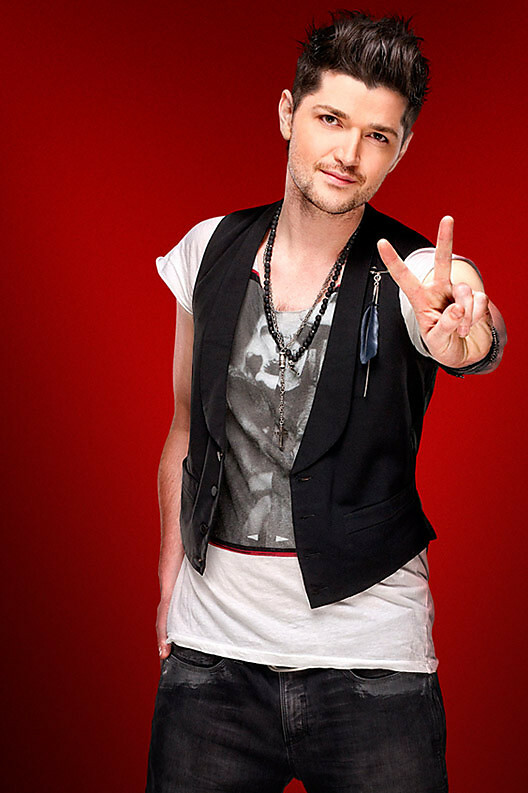 That's not to say The Voice UK is perfect, because it isn't. It's a 21st century TV talent show, with all the knowing ingredients. Despite their insistence that there are no sob stories, well...there are, and they will probably be revisited as the series goes on. 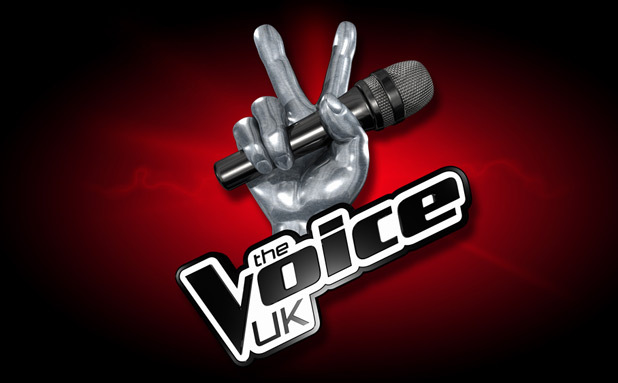 And as for the judges/mentors, they've probably got an eye towards boosting their own careers and we wouldn't be too surprised if this series generates a British equivalent of "Moves Like Jagger" - we can only hope for something as good as that! Here at EuropeCrazy HQ we agreed that the biggest annoyance during the Blind Auditions was that Will.i.am, Jessie J, Tom Jones and Danny O'Donoghue took far too long to push the button, worst offenders clearly being Jessie and Danny, miming along with the singers and mock-goading each other ("are you going? are you going? "), and screaming 'me-me-me!'. Yet despite all that...we love The Voice UK and can't wait till the next instalment. Anyway I don't care. I just want to hear some decent singers for a change, preferably without any bickering-judges media circus around them. I couldn't care less if they've had 'previous' or not. In the case of Tyler James, who's on Will's team, I'm just glad to see him get a second chance. Back in the day, he was a big favourite in blogland, and I remember chatting to Acer Ben about him in my early blogging days...."Foolish" was a great pop single too. He may be better known in recent times for being the late Amy Winehouse's ex, so it will be nice to see him hitting the headlines for his vocal ability. I thought it was about time to give my views on this year's Eurovision semi-final songs. Up till now I'd only heard a few of them, but on listening to most of the entries in Semi-Final 1, I reckon I hadn't missed much. As usual, feel free to agree or disagree! Montenegro: "Euro Neuro" - Rambo Amadeus. This guy firstly came to my attention in that fab series "Michael Palin's New Europe", however on first listen this has no redeeming features whatsoever. A load of words put together, but in a 'song contest' this is most definitely not a 'song' but it's maybe different enough to get a few televotes. Iceland: "Never Forget" - Gréta Salóme & Jónsi. Now this is more like it. Drama! Knitwear! Even though I'd have preferred it in its native Icelandic, it still rules. On the down side, second position is the 'draw of death' but I would really, really, hope that it overcomes all the odds against it. Greece: "Aphrodisiac" - Eleftheria Eleftheriou. One of the many Swedish-co-written songs in this year's contest. Of course I would want to love it, but it's just not happening and the whole thing comes across like a trashy 14th-rate version of "My Number One" which was never a particular favourite of mine, but compared to this it actually seems so much better. But it will qualify "because it's Greece". Latvia: "Beautiful Song" - Anmary. Once again, because it's Latvia, I want to love it, but on first listen it just disappoints me in so many ways. Stupid lyrics about being born in the year that Johnny Logan won, and yet more lyrical references to Mick Jagger. It's a long way from being a 'song that everybody hums and everybody loves'....however in a weak semi-final it could maybe grab a qualifying place. Albania: "Suus" - Rona Nishliu. Despite this not particularly appealing to me, extra points for the use of (a) native language and (b) clackers in the official video. The director was obviously a child of the 70s! Romania: "Zaleilah" - Mandinga. This sounds a little Spanish, with the kind of summer-dancey-pop-hit vibe to it. Without any doubt, a qualifier. Switzerland: "Unbreakable" - Sinplus. One of the first 2012 entries to be chosen, yet I haven't heard this till today. Even though it's a bit incomprehensible I'll probably end up liking it as I like a lot of the pop/rock stuff at ESC. In typical Swiss style though, it will probably not qualify. Belgium: "Would You?" - Iris. So far it's all been pretty underwhelming, so 'would you' vote for this year's Belgian entry? Well you never know: she's got a slightly unusual vocal style, but on the down side (a) it's not Tom Dice and (b) they went for an internal selection and denied us Eurosong yet again, so I'm not feeling so charitable after all. Finland: "Nar Jag Blundar" - Pernilla Karlsson. Finland in Finlandsvenska-language ESC entry shock! I get the feeling they don't particularly care any more, although this is actually OK in a kind of swaying, folksy way. Eurovision Song Contest 1974. Abba. Brighton. Katie Boyle. Despite it being almost 38 years ago, I remember that evening as if it was yesterday. 6th April 1974 had not been an ordinary day. My beloved grandad had died earlier that week, and that was the day of his funeral. He may not have been an obvious Eurovision fan, not really: but as my mum reminds me every year at Eurovision time, he had predicted Dana's win in 1970. I wonder what he'd have made of Abba? At 8.00 pm we all gathered round the TV for the Eurovision Song Contest, which "came home" to Brighton that year. Eurovision was a part of my life as long as I can remember but I can honestly say that 1974 was the first contest I could remember from beginning to end. So many of the entries scream "easy listening" such as the opener “Keep Me Warm” from Finland however I strangely like this...however I can't say the same for the Sally-Army-anthem "Long Live Love" and the divine Olivia singing for Royaume-Uni in her nightgown. A good performance of an embarrassing song. By this time we were into a rather good section of the contest. “Generacija 42” a.k.a. “Moja Generacija” by Korni represented Yugoslavia, and as befits the time they were all multicoloured satin and facial hair, yet even as a child I was struck by the seriousness and intensity of this song amid all the 1974 jollity. I had kept a book where I wrote down all the entries and noted this as one of my favourites. What came next was to change everything forever. On that night I will never forget the first time I saw the Swedish group Abba - two women and two men in striking costumes with a conductor dressed as Napoleon. It was like nothing we’d ever seen before, and we completely loved them. This song, "Waterloo" must surely win! It was a very significant year as it wasn't just the eventual winning song which became a hit. The Dutch entry "I See A Star" by Mouth & MacNeal and Italy's "Go" (Si) by Gigliola Cinquetti also made our charts: pretty unthinkable these days, but a significant sign of how Eurovision mattered more back in the less cynical 70s. There wasn't much more to mention about ESC 1974 except for one more significant entry from Portugal - "E Depois du Adeus" sung by Paulo de Carvalho was the signal for the country's 'Carnation Revolution', a military coup which delivered Portugal from dictatorship to democracy. After the voting - which didn't last as long as today's hour long marathons - Abba secured Sweden's first ESC victory. A very satisfactory one...but we didn't know at that time just how fantastic and influential they would become!